You are here: Home / Blog / Skin Cancer / What is Dysplastic Nevi (Atypical Moles)? 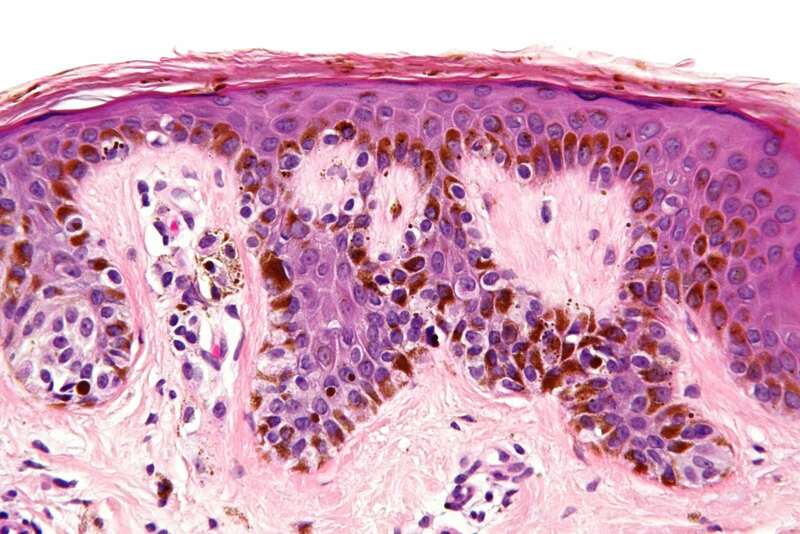 Skin Cancer 101: What are Dysplastic Nevi (Atypical Moles)? Dysplastic nevi are atypical moles that may increase your risk of skin cancer. They vary in important ways from common moles. Common moles are small growths that appear on the skin. These growths are made up of melanocytes, which are pigment cells found in the epidermis that are responsible for producing skin color. 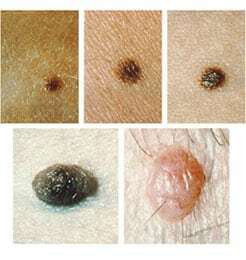 When melanocytes grow in clusters, moles are produced. The scientific name for a common mole is nevus. The plural is nevi. Most people have moles. According to the National Cancer Institute, adults typically have between 10 and 40 moles. Usually, moles are found above the waist and are often located in areas that are exposed to the sun. Rarely, moles may appear on the breast and buttocks. Some people are born with moles, although they frequently develop during childhood. In most cases, common moles continue to form through middle age. When people reach the age of 40 or 50, the formation of new moles is less common, and moles tend to fade or may go away completely after middle age. What do common moles look like? What are dysplastic nevi/atypical moles? A dysplastic nevus, also called an atypical mole, is a mole that looks different than common moles in certain ways. Dysplastic nevi can form anywhere on the body, but are often found in areas of the body that are frequently exposed to the sun. However, it is not uncommon for dysplastic nevi to form on the scalp, breasts, or legs. Most people with dysplastic nevi also have more common moles that usual. What does a dysplastic nevus/atypical mole look like? Can a dysplastic nevus turn into skin cancer? 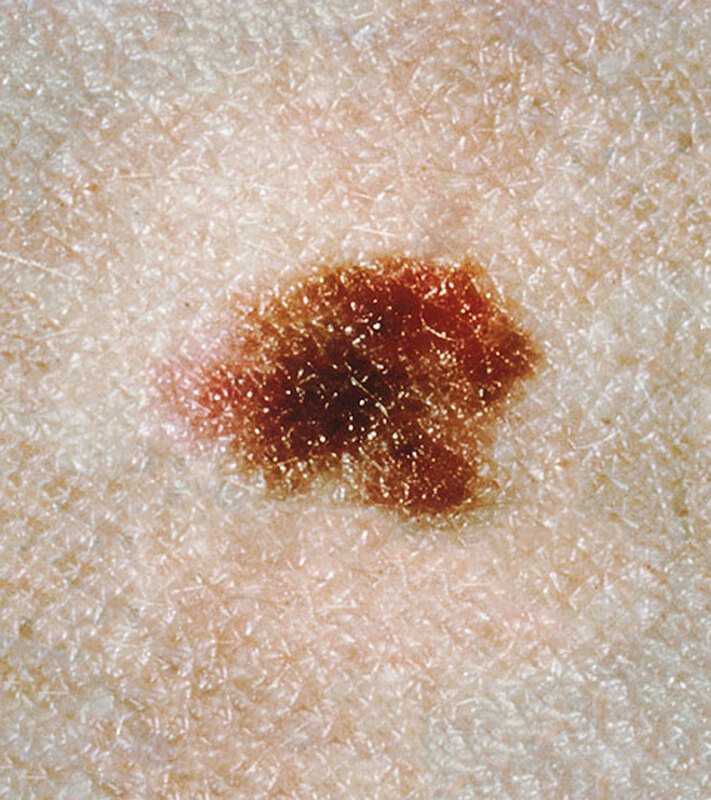 Dysplastic nevi/atypical moles can turn into skin cancer, specifically melanoma. However, research indicates that most remain stable over time and very few turn into melanoma. 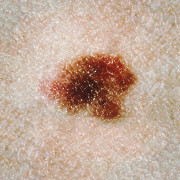 For people with more than 40 moles or more than 5 dysplastic nevi, the risk of skin cancer is higher. What should I do about a dysplastic nevus/atypical mole? Everyone should protect themselves from harmful UV radiation from the sun. This is particularly true for people who have a high number of common moles or dysplastic nevi. Doctors recommend that people with atypical moles perform a self-check on their skin once a month. Changes in color, such as when a mole becomes darker or develops new colors. Changes is size, such as when a mole grows rapidly or becomes larger than the tip of a pencil eraser. Changes in texture, such as becoming hard or the development of a scaly, rough, pebbly, or dry surface. Changes in shape, particularly when the edges of a mole become irregular, jagged, or undefined. If you notice any of these changes during a self-check, consult your doctor. Should my doctor remove a dysplastic nevus? Atypical moles rarely need to be removed, as long as they do not show any of the changes listed above. Most doctors recommend regular monitoring. While it is possible for a dysplastic nevi to turn into melanoma, the chance is very low. https://treatcancer.com/wp-content/uploads/2015/09/common-moles-article.jpg 260 246 Southeast Radiation Oncology Group, P.A. https://treatcancer.com/wp-content/uploads/2015/08/SERO-logo-PNG-450x174.png 2015-09-06 03:18:542019-02-08 21:39:07What is Dysplastic Nevi (Atypical Moles)?